When parts for your favorite piece of cookware are no longer available, sometimes a little do-it-yourself repairs are necessary. 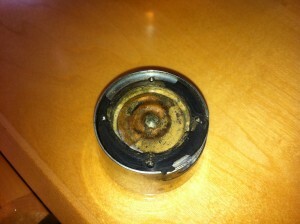 Problem: The first few years of the vintage Revere Ware pressure cooker had a gauge rather than a dial. 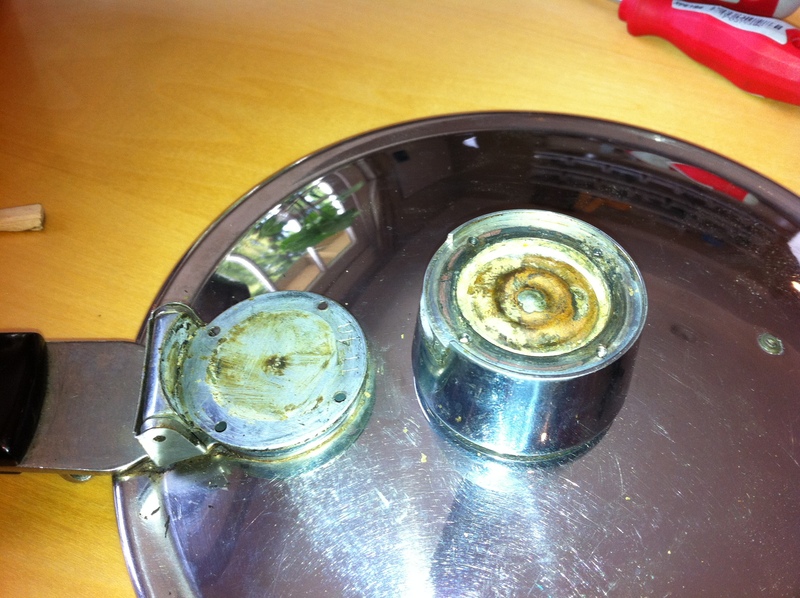 At the bottom of the gauge sits a gasket, which over decades of use and life, gets dry and brittle and stops working, allowing steam to escape, which provides a false reading on the gauge lower than it should. 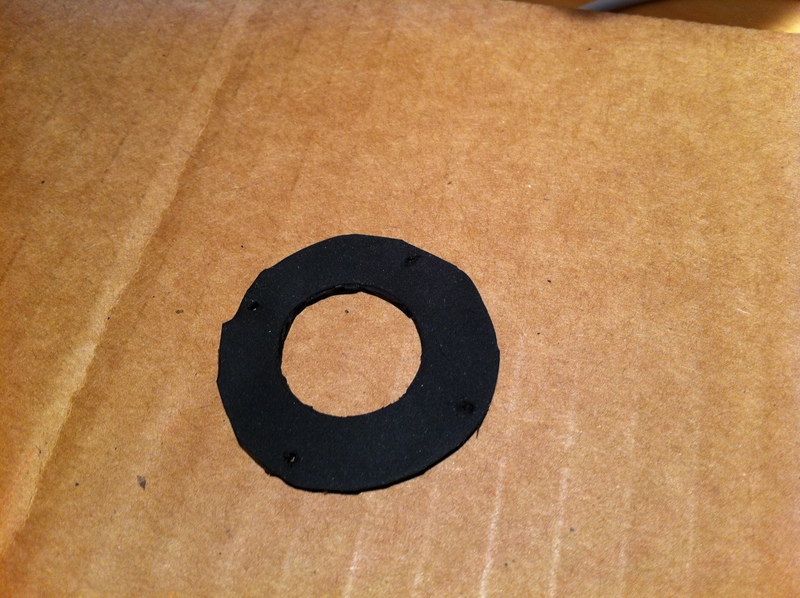 Solution: Making a new gasket from some high temperature silicone rubber. This problem was brought to my attention by a customer who had the problem, and when I opened up my pressure gauge, sure enough, my gasket was beyond repair as well. I was able to find some suitable material in the form of a silicone baking sheet, which sounded promising as it was specifically intended for high temperatures and was a food grade silicone. While the original gasket measured about 3-4/100th of an inch, the silicone baking sheet came in at 6/100th of an inch, a difference I hoped wouldn’t matter. 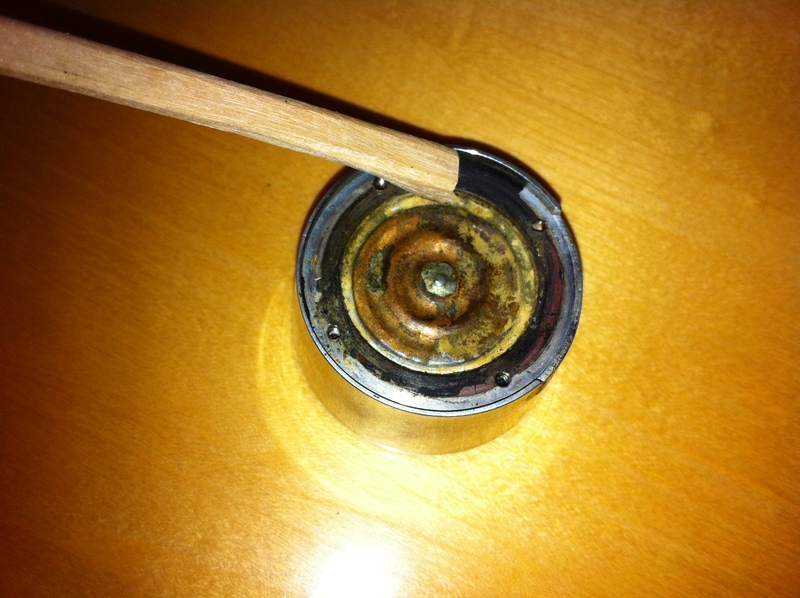 The original gasket was pretty well attached to the metal, but I was easily able to scrape it off with 1/2 of a pair of wooden chopsticks, a soft material so as not to scratch the metal surface and create grooves that might break the seal. To form the gasket, I pressed down on the silicone sheet with the top of the gauge, which left a nice mark and cut it out with scissors. I used an apple corer to cut out a hole on the inside. 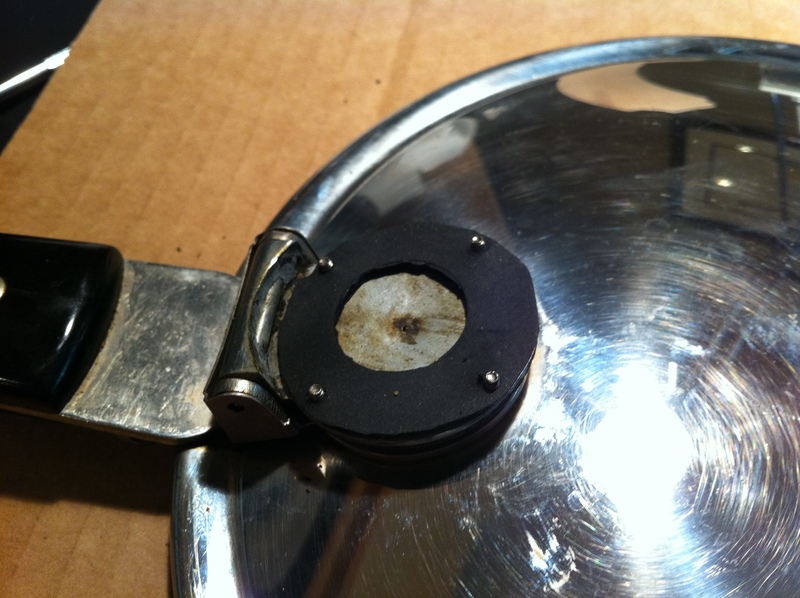 To create the holes, I sandwiched the gasket between the gauge and the bottom plate and marked them with a small screw driver, and then opened them up with a drill bit. As you can see, it is crudely shaped, but a good enough fit to make a seal. The drill bit left imperfectly small holes that were a bit hard to get the screws through, so to put on the gasket, I first laid it on the bottom plate and threaded the screws through, and then placed the top piece on and screwed them down. While the gasket is slightly thicker than the original, the screws were easily long enough to hold tight. 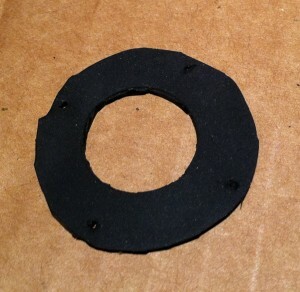 A quick pressure test showed the gasket to hold without any problems. Customer John took a slightly different approach, and went to a shop called Great Western Seal & Gasket (didn’t know places like this existed) and had them punch a suitable gasket out of appropriately sized silicone rubber and then bought a small punch from them to create the screw holes. I’m sure his looks much prettier than mine, but they both work fine.